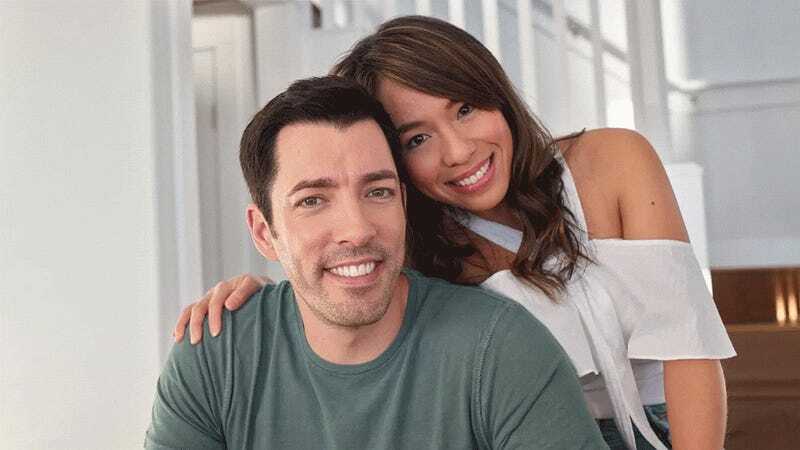 On Tuesday afternoon, People’s unofficial HGTV press release vertical, Home & Travel, shared the less than thrilling news that the Property Brothers, Property Brother 1 (Drew Scott) and Property Brother 2 (Jonathan Scott), would be getting yet another television show on HGTV in the form of a four-part spin-off of Property Brothers At Home—which is itself a spinoff of Property Brothers—documenting the part-time magicians’ renovation of a home shared by Property Brother 1 and his fiancée, Property Wife 1 (Linda Phan). There are innumerable television shows that I know are popular despite the fact that I do not watch them—entire channels, in fact! But there’s something about the Property Brothers’ fame that I don’t quite believe. Part of me is convinced they’re conning an entire network into giving them show after show by somehow altering ratings in the same way Ferris Bueller changed his grade by hacking into Principal Rooney’s computer. I don’t believe I know a single person who speaks of them with anything resembling adoration—or even tolerance. Am I being played, or do some of you actually care? Please let me know. I’d love confirmation.